Y’all. Is March hard for anyone else? Our weather has been up, down, and sideways, and life is doing the same thing…a celebration followed immediately by a challenge followed by needing more hands to do all of the things and more hours to get those things done followed by a deep felt need for a breath, a break, a new day. For me, there is something about Easter being just around the corner that makes me feel like everything needs to be in order. In North Carolina, the trees all have buds on them and daffodils are blooming everywhere, and most days I long to feel that same bursting forth myself. Has anyone found the rhythm to all of this? I definitely haven’t. A few years ago, I was helping my daughters clean up their playroom. After weeks of creative spurts and Lego projects, it had gotten to the point that there was no longer floor to walk on. We had just put up the last few games and I was about to close the closet when a container fell off the top shelf, emptying thousands of plastic beads all over the newly found floor. I remember my daughters looking at me with questioning eyes. They have seen me lose my patience before; surely I would do the same thing now. But in that moment, I remember consciously thinking that I could choose how I would respond. In that same moment, the three of us just starting laughing, which continued for several minutes. Then we laughed while we kicked around the beads for a bit. After all, what good is a mess if you don’t enjoy it for awhile? Finally, my oldest suggested a dance party while we picked up beads, which was, of course, perfect. Dance parties change everything. More and more, I am noticing the blessing of inconvenience. The red light that stops you on your way to a quick trip to the store, which in turn makes you think about something in a new way or allows you to take a second breath. The friend who is running a half hour late to meet you, which leaves you with time at that little table at the restaurant you love with nothing to do but to be with the gift of yourself. The unexpected snow days that lead to your kids being home, which leads to that beautifully put together to-do list being rearranged and split up between slime making, a practice egg hunt for Easter, and a deep conversation about love. The medical diagnosis for yourself or someone you love that allows you time to reflect and to recharge. At the end of each day, when I am thinking about what I am grateful for, it is increasingly the times that could have made me grumble which instead turned into something meaningful that I am always the most grateful for, even if it includes a hard conversation, a change in plans, or a pause in time where I had planned no pause. 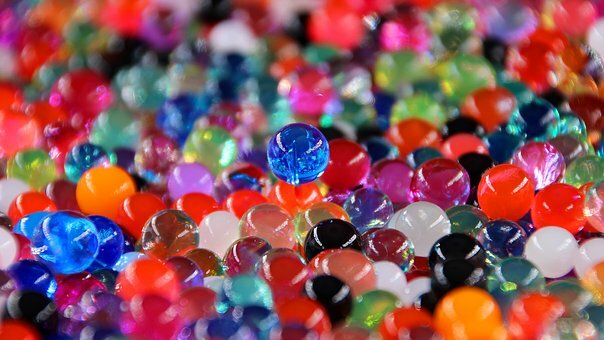 It is the floor unexpectedly covered in plastic beads. I’ll choose laughter and a dance party. I’ll choose joy before the to-do list is done. Take the pause; this is the blessing. We have similar threads woven into our operational dna. Only randomly for me, however, taking the opportunity to pause comes as a second thought. Your post reminds me of the circuitous nature of everyday life and the joy that presents itself in that unpredictable nature. Thank you.